Hello to everybody, my name is Simona well known as Samira. I’m Italian and I live in Dubai since several years. 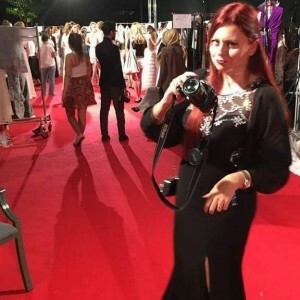 I’m the Owner of the Dubai Events Blog and Abu Dhabi Events Blog, I love to talk about events in Dubai, Abu Dhabi and UAE such as fashion, art, music, clubbing, charity and cultural events and so. Abu Dhabi Events Blog is a spin-off of Dubai Events Blog, my first one created in 2013. I would like to tell you why I had the idea to create my blogs. Since I came here, I fell in love with this country and immediately I enjoyed every day and night out, doing lots of things. My friends knew that and everyday I received lots messages and call from them where they asked me: “Where can I go tonight?” or “What can we do during the Festive Season?” or “Where can I celebrate my birthday party?” or “Could you suggest me a location for corporate event?”…. After lots request, I told them: “Look guys, starting from tomorrow, you will read everything on my blog, cause I will open one!!!”. And this is the story of it: on 8th March 2015, I’ve celebrated the 2nd Anniversary and I’ve more than thousands followers!! The services that I can offer on my blog are: advertising (editorial articles, banner), media and marketing services (for example Social Media MKT), Public Relation Agency, Event Management (Consultancy, Organization and Management), interview with the VIP artist. Thanks to my Master Degree in Economics and more than 10 years experience in Marketing field, my skills about events organization and consultancy are really growing up here in Dubai. So if your company needs some information about location for their events, what is in or out in Dubai and UAE in generally, dress code, music and so on, I can offer my consultancy. I use the most of social media channels: Facebook, Twitter, Google+, Instagram, LinkedIn, Pinterest. I have also my YouTube channel where I share my interviews with VIP artist. Abu Dhabi is the city of cultural and art events, therefore, the blog wants to be also a Cultural Hub. And now, you know everything and the sunset is coming, let’s have a look to my blog and discover in which place we can go tonight!! Follow me and Stay tuned!!!!! !